Introduction to Backyard Composting: Presented by Aaron Shepard or Shannon Plant of Northwest Solid Waste District and UVM Extension Master Composter. 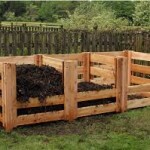 Turn your yard and food waste into compost. Sat., April 13, 10:00am-12:00pm, St. Albans Creamery CO-OP Store, 138 Federal St. Thanks to a grant, attendees can purchase deeply discounted compost bins for $30 while supplies last. (Retail is $80-$100.) Kitchen food scrap containers ($5) will also be available for purchase. Cash or check only. All classes are free and open to the public. Questions? Contact Aaron Shepard at 524.5986 / ashepard@nwswd.org.